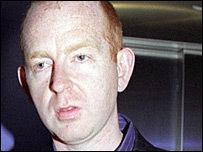 McGee: "Rock 'n' roll is the new dance music"
Alan McGee, the man who launched Oasis on an unsuspecting world as the head of Creation Records, recognised a new generation of bands with a BBC Radio 1 show on Thursday. The affable Scot, who now runs the Poptones label, believes it is a golden time for British bands. "The British music scene at the moment is as good as it was in 1990 or 1991," McGee told BBC News Online, referring to the era which turned Creation from a mildly successful indie label to a major player in the music industry. 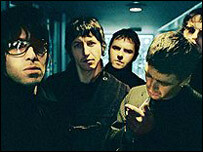 McGee's Creation became home to hip bands such as Primal Scream, Teenage Fanclub and My Bloody Valentine, and in 1993, of Manchester upstarts Oasis. And although they heyday of some of these bands is arguably over, a rich scene of new music is emerging, with groups such as British Sea Power, Blackcar, I Am Kloot, The Libertines and The Music. With his show on Thursday - featuring mostly unsigned and fledgling acts - McGee hopes to showcase the next wave of UK stars. He said it was harder for young bands to get noticed now than it was during the Britpop days of the mid-1990s. 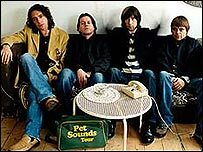 "The whole way of doing things in the late 1990s was you were on the cover of the NME in five minutes, and on the big Radio 1 shows five minutes after that. And I think that was a disease, and our downfall. "Now we are in a different zone," said McGee, adding that it would help bands in the long run that they were not getting noticed quite so easily. The radio show follows on from McGee's once-monthly DJ sets at Death Disco and The Queen is Dead in London, the first of which is open for unsigned bands to play. "I get kids coming up to me all the time in the club, and they hand me their demos and they are amazing," he said. He said that one band, Razorlight, had got a £250,000 deal after appearing at Death Disco. His latest musical tips to succeed include The Others from London, Manchester's Stasi and Terror Diablo from Glasgow. "Radio 1 has always been supportive of emerging genres," he said. "Someone has been clever enough to recognise that these bands are out there." It is, he said, something the record companies could be devoting more time to. "The British music industry is too busy worrying about downloads. Rock 'n' roll is the new dance music. It's an underground thing, but it's getting good again."